The Chase Suite Hotel would like to offer their friends at Southcreek Office Park the best location for any occasion. Call to book your suite and ask for the Southcreek Office Park Rate (rates subject to availability). Do you need a place for your family and friends to stay during the holidays? Don’t worry about finding extra towels and places for them to park at your home – Chase Suite Hotel can be their “home for the holidays.” The rates are subject to availability, and there are dates available in both November and December. The Chase Suite Hotel is located at 6300 W. 110th St. Overland Park, KS 66211. To make your reservation, call 913-491-3333 or visit Chase Suite Hotel in Overland Park’s website. All of the packages include a full-sized kitchen, a hot breakfast, access to a fitness center, Wi-Fi, and parking! 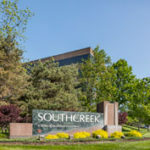 If you are interested in finding out more about available commercial space for lease in Kansas City through Southcreek Office Park, give a commercial real estate broker in Kansas City a call today at 913-685-4100!